Aug. 1, 2014 -- From the time he was a small boy, Samuel Dreben wanted to be a soldier. He was drawn to the crisp uniforms and the shiny brass buttons. His parents, however, weren't too supportive of the idea. His mother wanted him to become a rabbi, and his father sent him for training as a tailor. But Dreben wouldn't give up on his dream. It took some time, a lot of effort and a move half-way around the world, but Sam Dreben finally got his wish. Dreben served with the U.S. Army in France during World War I with heroism and distinction, and received military honors from four countries. He also served his country in the Philippines and China. As a soldier of fortune, Dreben fought in a series of wars and revolutions in Guatemala, Honduras and Nicaragua. 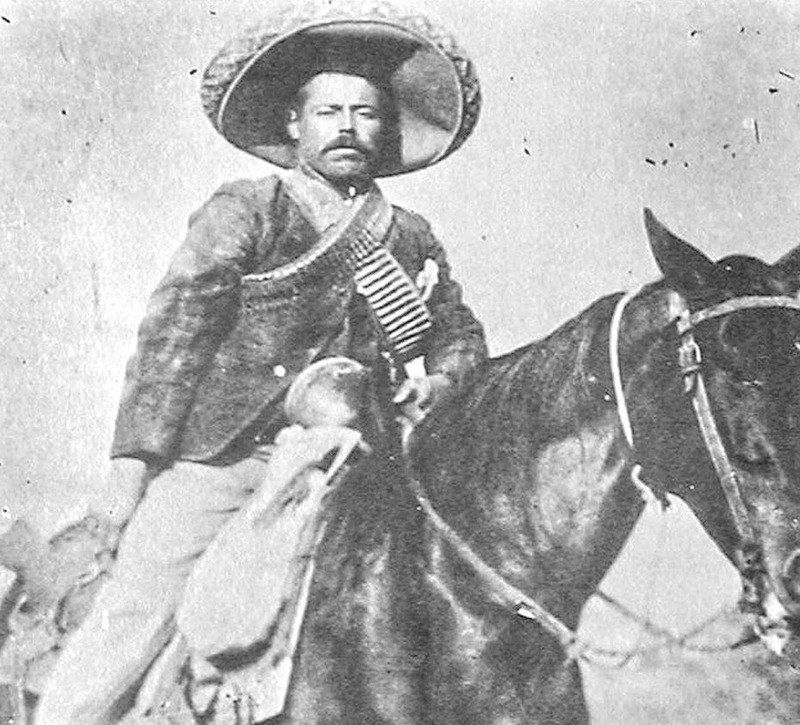 In Mexico, he fought with –- and later against -– Pancho Villa. Dreben was born in Poltava, Russia -– now part of central Ukraine -– on June 1, 1878. Shortly after he was born, the family moved first to Kiev, then to Odessa on the Black Sea. Dreben discovered that, although Jews could serve in the Russian army, they were not allowed to become officers. That, plus the growing anti-Semitism in czarist Russia, convinced Dreben that his future was elsewhere. As a teen-ager, Dreben twice ran away from home, once reaching Germany, before returning. Finally, in 1898, at the age of 20, he boarded a ship in Odessa and sailed to Liverpool, England. 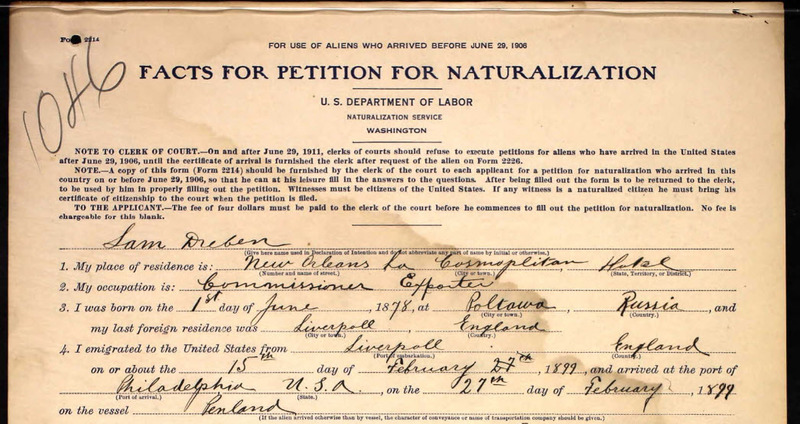 After working on the docks for a few months, he was able to save enough for passage to the United States, and arrived in Philadelphia in February 1899. Dreben's aunt lived in Philadelphia, and she sponsored him and found him work as an apprentice to a tailor, while he learned English in night-school classes. When Dreben arrived in the United States, the nation was at war against rebels in the Philippines, who were fighting for their nation's independence. Finally, this was Dreben's chance to become a soldier. In June 1899, shortly after his 21st birthday, Dreben went to a recruiting office and enlisted. Three months later, he was on a troop ship heading to the Philippines. Shortly after his arrival, Dreben was part of a battalion sent to cross a stone bridge, not knowing that the bridge had been booby-trapped by the rebels. While they were on the bridge, approaching an enemy trench, there was an explosion that killed or severely wounded 11 members of the battalion, including the captain. As the smoke clouded the bridge, one soldier emerged, and continued running toward the rebel trenches. Other soldiers followed, and the enemy retreated. According to one of his fellow soldiers, Edward S. "Tex" O'Reilly, later editor of the San Antonio Daily Light, "As I lay watching this slaughter only a few yards away, I suddenly saw one soldier emerge from the smoke, still trotting forward toward the bridge. He was the loneliest figure I have ever seen, jogging along like a boy running an errand. There were several thousand insurrectos in those trenches and the bullets were snapping around him, but he didn't seem to notice. Down the road he went, over the bridge, and into the trenches as if he were taking part in a drill on the parade ground. Other troops came sweeping up to us, and the command came to charge the trench. Over we went. The natives broke and stampeded. In the trench we found the lone soldier who had tried to win the battle single-handed. He was still fighting. 'Who is this little wildcat?,' asked someone. 'Oh, that's little Sammie Dreben, the fighting Jew,' he was told. The name stuck." Asked about the incident later, Dreben reportedly said, "Well, I heard the captain say 'Forward!' and I don't hear nobody say 'Stop.'" After the defeat of the insurrection in the Philippines, Dreben, who received two citations for bravery, went to China, where his infantry regiment was sent to rescue U.S. citizens during the Boxer Rebellion in Peking. When his military service ended in 1902, Dreben returned to the U.S., where he worked a series of jobs, including streetcar conductor and municipal rat catcher in San Francisco, then as a tailor in Los Angeles. But Dreben knew that he was a soldier, not a streetcar conductor. Surely, there were other battles to fight. He just had to find them. When the Russo-Japanese War broke out in February 1904, Dreben decided to head for Japan and join the fight. He signed on as a waiter on a U.S. Army transport ship headed for Manila, with a stop in Japan. Dreben jumped ship in Nagasaki, where he offered his services to fight against the Russians. But the Japanese turned him down, fearing that he might be a Russian spy. Dreben ended up working in a hotel kitchen in Nagasaki until he could raise enough money for passage back to the U.S.
Dreben worked for a while as a security guard in the Panama Canal Zone during construction of the canal, then, with his skill and experience with a machine gun, he was recruited to fight for various liberation efforts in Guatemala, Honduras, Nicaragua and Mexico. While in Nicaragua, Dreben suffered his only battle wound -– he turned to light a cigarette, and he was shot in the seat of his pants. "They better not kill me here," Dreben joked. "There isn't a Jewish cemetery in this country." After the success of the Nicaraguan revolution, Dreben was given $2,000 in gold for his efforts, and he moved on to his next adventure. Dreben returned to civilian life in El Paso, Texas. In September 1916, Dreben, 38. married 19-year-old Helen Spence, and they had a baby daughter, also named Helen, who was born on Jan. 23, 1918. Meanwhile, the U.S. Congress, with the urging of President Wilson, declared war on Germany. On Feb. 12, 1918, a few weeks after his daughter was born and more than 10 years after his previous military service, Dreben, 39, enlisted in the Army for the third time. He joined the 141st Infantry Regiment, part of the 36th Division, American Expeditionary Forces, as a lowly private. With his previous military experience, Dreben was quickly promoted to corporal, then sergeant, then first sergeant before his regiment was sent to France. After he arrived in France, Dreben received word that his 5-month-old daughter had died. He could have requested a hardship discharge and returned to his wife in Texas, but he decided to stay in France. In October 1918, the French and U.S. armies were battling the Germans at Saint-Etienne in France. With a nest of four machine guns, the Germans were gaining control of the battle, and Dreben knew those guns had to be taken out of service. He saw German troops heading toward the machine guns, and called for volunteers. Dreben and about 30 men rushed the German positions, captured the four machine guns, killed more than 40 enemy soldiers, captured two, and returned without losing a man. For his heroism, Dreben was awarded the Distinguished Service Cross, the second-highest military decoration that can be awarded to a member of the United States Army, after the Medal Of Honor. The Distinguished Service Cross is awarded for extraordinary heroism, and actions that merit the DSC must be of such a high degree that they are above those required for all other U.S. combat decorations, except for the Medal of Honor. And, like the Medal of Honor, the Distinguished Service Cross is often awarded posthumously. In addition, France awarded Dreben the highest honor it could give to an enlisted man -– the Medaille Militaire -– as well as the Croix de Guerre with Palms. Dreben also received honors from the Italian and Belgian governments. Pershing, who was now commander of the American Expeditionary Force, called Dreben "the finest soldier and one of the bravest men I ever knew." After the war, Dreben returned to El Paso and divorced his wife, who had reportedly been unfaithful to him while he was in France. He worked for an oil company, then opened an insurance office. 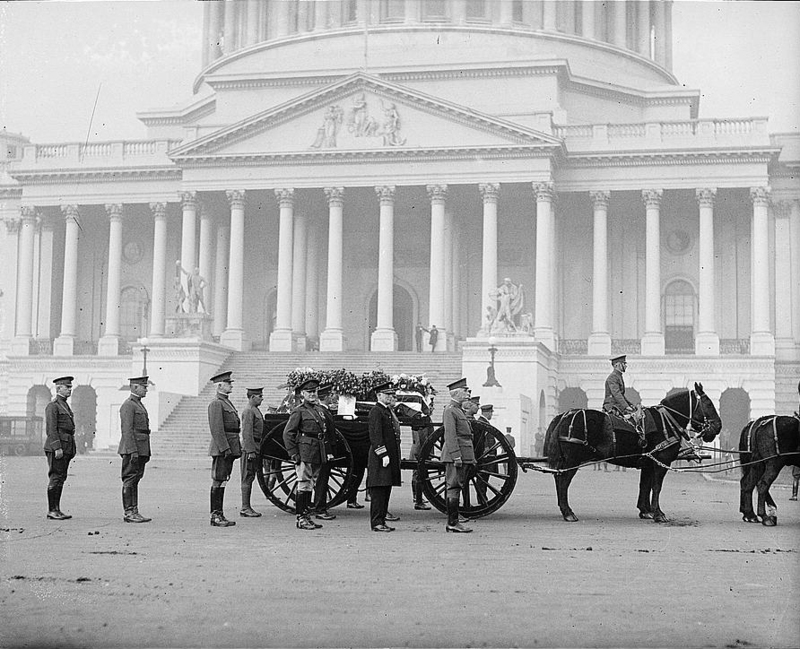 In 1921, Dreben received another military honor when he was selected by Pershing to be to be one of the honorary pallbearers for the burial of the first Unknown Soldier at Arlington National Cemetery in Washington, D.C. Other World War I heroes selected for the honor were five Medal of Honor recipients -- Sgt. Alvin York, Lt. Samuel Woodfill, Maj. Charles Whittlesey, Capt. George McMurtry and Capt. Nelson Holderman. Although Dreben was known as a fearless soldier, away from the battlefield he was friendly and compassionate, with a lively sense of humor. A fellow soldier described Dreben as "always kidding, always carefree and happy. He could make a bunch of men laugh when they were ragged, starving and facing violent death." Later, whenever a group of veterans gathered, Dreben was usually at the center, entertaining the crowd with stories of his adventures in Central America. Although Dreben's military career was over, there were still a few more chapters in his life of adventure. In late 1921, Dreben was recruited by the El Paso police to go into Mexico and bring back "Little Phil" Aqulin, who was suspected of killing a police detective in Los Angeles a few months earlier, and then fleeing across the border. U.S. officials had information that Aqulin was hiding out in Ciudad Juarez, just across the border from El Paso, but they couldn't legally go into Mexico and arrest him. Dreben learned that Aqulin had a tattoo of a flower, along with another of his nicknames, "Arizona Phil," on the inside of his left forearm. That distinguishing mark could be used to identify him, so Aqulin checked with doctors in Ciudad Juarez about getting the tattoo removed, and was told that it couldn't be done. With support and assistance from the police departments in El Paso and Los Angeles, Dreben came up with a plan to open a fake medical office in Ciudad Juarez, posing as a doctor and advertising the removal of tattoos. When Aqulin came in, they would knock him out with anesthetic and drive him back across the border. The plan worked perfectly -– until Aqulin woke up while being carried out to the car. Aqulin's shouts alerted his friends, and a crowd gathered and blocked the cars. Though unsuccessful, the "Little Phil" raid served to enhance Dreben's reputation as a daring soldier of fortune, a fearless fighter eager to seek out adventure and danger anywhere in the world. In 1923, Dreben, 45, married for the second time, to Meada Andrews, a 35-year-old widow. Her first husband, Bert Herskowitz, died in 1920 from tuberculosis. After her marriage to Dreben, she convinced him to move back to California. In Los Angeles, Dreben found work as an agent for the West Coast Life Insurance Company, and joined several civic and veterans' groups. The Drebens lived on Tamarind Avenue, between Sunset Boulevard and Fountain Avenue, and, for the first time, Dreben seemed to be settling down, without the urge to be a soldier and fight a battle in some distant land. But Dreben never got the chance to enjoy the quiet life. For several months, beginning in early 1925, Dreben had been in ill health. He was suffering from partial paralysis in his legs, and had been visiting Dr. Walter V. Brem of Los Angeles on a regular basis for treatment, and to receive injections to help relieve his symptoms. In early March 1925, Dreben wrote to his former company commander, who lived in El Paso. "I'm glad my El Paso friends can't see me now," Dreben wrote. "I'm shaky on my legs. I've had a blow-out, and if Uncle Sam figures on getting in any more trouble where he will need my help, he had better do it doggoned soon, for I'm not good for much more mileage along this old trail." Less than a week after writing that letter, on Saturday, March 14, 1925, Dreben visited Dr. Brem's office for his injection. Shortly after receiving the shot, Dreben collapsed. He was taken to Good Samaritan Hospital, where he never regained consciousness, and died the following morning. He was 46 years old. In addition to his widow, Dreben was survived by a brother in Chicago and two sisters in Philadelphia. Funeral services were held at the Strother & Dayton Mortuary on Hollywood Boulevard on March 16, with nearly 200 friends, relatives and fellow veterans coming to pay their respects. At the end of the services, which were conducted by the American Legion, Hollywood Post 43, it was announced that Dreben's burial, which had been planned for the following day at Grand View Memorial Park in Glendale, in a plot owned by the American Legion, would be delayed indefinitely. No reason was given. In fact, there were two reasons for the delay. The first was a question of who would be conducting the burial service, and where the burial would take place. During the funeral service, Rabbi Ernest Trattner of the Westwood Temple expressed concern that Orthodox Jewish services had not been included. There were also those who thought that Dreben should be buried in a consecrated Jewish cemetery, or perhaps in a military cemetery. After a heated discussion between the rabbi and officials from the Legion post, within earshot of the mourners, an agreement was reached to have the Legion conduct services at the cemetery, with a rabbi presiding over the burial. The other issue was a request from the Los Angeles County Coroner's Office for an autopsy on Dreben's body. Because of Dreben's sudden and unexpected death, his widow, his doctor, and A.V. Woods, the head of the insurance company where Dreben worked, all requested further investigation. Following the autopsy and coroner's investigation, it was determined that Dreben had been injected with the wrong medication. Although Dr. Brem gave Dreben the injection, the syringe was filled by a technician in the doctor's laboratory. The technician grabbed the wrong bottle -– both medications were the same color, and were stored in similar bottles -– and the medication caused a blood clot in an artery leading to Dreben's brain, which resulted in a fatal stroke. The coroner's jury ruled that Dreben's death was accidental. "A mistake has been made," Dr. Brem said at the inquest. "It is the kind of a mistake that may be made by any of us just so long as there are human beings, subject to human frailties in this world. It wouldn't happen more than once in 10,000 times but this, apparently, is that one time." Dreben was eventually buried at Grand View, with the American Legion conducting the funeral service in the cemetery chapel, and Rabbi Meyer Winkler of Temple Sinai conducting the graveside service. His grave marker identifies him as "Sam Dreben D.S.C." 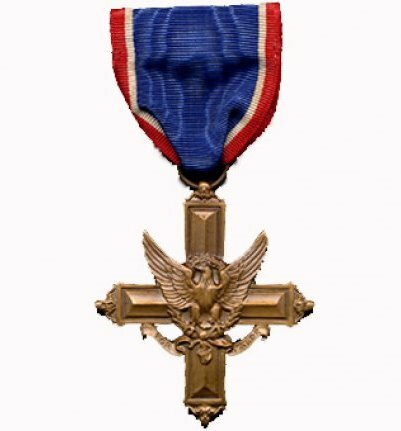 (Distinguished Service Cross). Newspapers across the country published front-page tributes to Dreben. The Texas State Legislature recessed the day after his death, and lowered the flag over the state capitol to half-staff. Pershing sent a telegram to Dreben's widow: "Deepest sympathy in great loss you have suffered in the death of your husband. He was my dear friend." "Dreben's life story was the kind that one expects to find only in fiction," the Los Angeles Times wrote. "He was the living incarnation of all the romance that attaches to the title of 'soldier of fortune.' Men who have known him as comrade were awed by his apparently boundless confidence, his effervescent desire to uphold the traditions of his adopted flag, his urge to fight and his complete lack of fear." 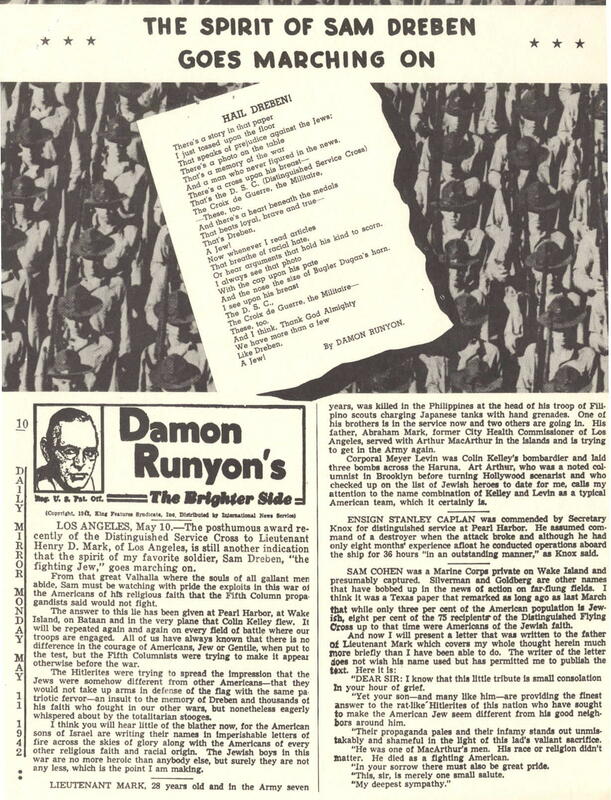 Newspaperman Damon Runyon met Dreben while covering the hunt for Pancho Villa in Mexico, and they became life-long friends. After Dreben's death, Runyon described him as "the bravest, the gentlest, the courtliest man I ever knew. He struck you as anything but a fighter. He was almost painfully polite, always apparently greatly abashed. … But beneath the velvet of his demeanor was the iron of a warrior soul." After Dreben's death, Meada Dreben married Benjamin A. Kline on June 1, 1926, and moved to Santa Monica. 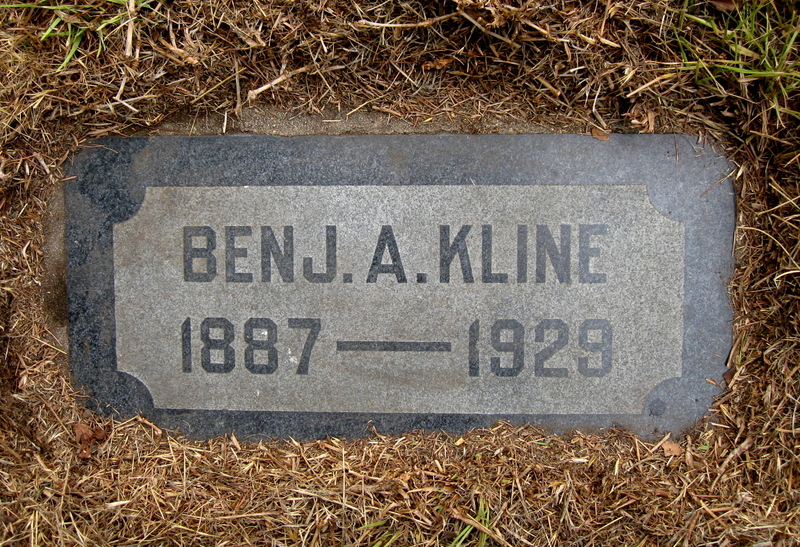 Kline died of influenza in January 1929 at the age of 42, and he is also buried at Grand View, not far from Dreben's grave. After Kline's death, Meada moved back to Los Angeles. 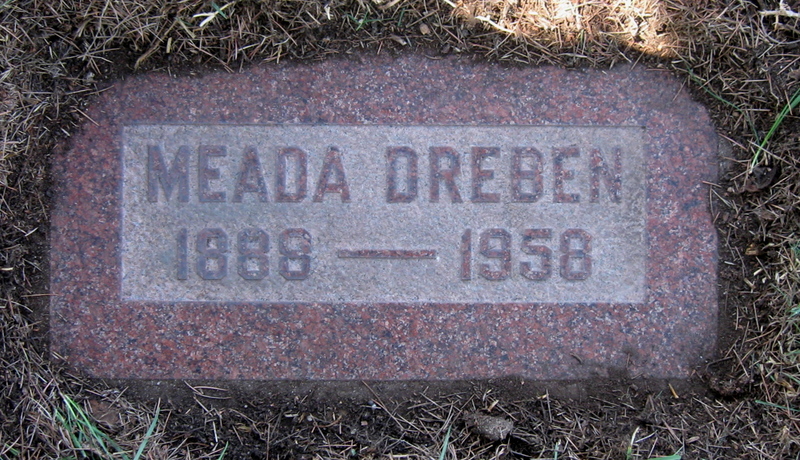 She died on Jan. 1, 1958, at the age of 69, and is buried next to Dreben. And a man who never figured in the news. And the nose the size of Bugler Dugan’s horn.